Shot with a Google Pixel 2 XL. I did not use any laptops running Chrome OS prior to getting my hands on the PixelBook. So, as a non-user, I always saw them as either super cheap or quite expensive Chrome running machines and nothing more than that. However, my thoughts on the platform changed after using the PixelBook as my daily driver for a month. Here are the things I like and dislike about the Google PixelBook. The PixelBook is easily one of the best looking laptops currently available right now. It is very thin and the two-toned back makes it look unique and helps it stand out from the rest. Google has really refined the look and aesthetic of its devices over the past year and I really liked its similarities to the Google Pixel phones. The soft touch material around the trackpad feels amazing and helps keep a good grip on the laptop while holding it in tablet mode. With a couple changes, the PixelBook can easily be the best looking laptop one can buy right now. Chromebooks are usually known for their low-powered hardware and cheap price tags. However, Google is trying to change that outlook with the PixelBook. The laptop is ridiculously powerful and the specifications compete with the likes of the Surface Pro and the MacBook. The top-notch specs allowed the PixelBook to handle every task I threw at it with ease. The keyboard is great to type on and the glass trackpad is one of the best I've ever used. I'd even go as far as saying the trackpad is just as good as the ones you find on MacBooks. Everything feels super sturdy and well-made. The build quality of the PixelBook easily puts it among some of the best laptops available right now. Chrome OS on the PixelBook runs insanely fast. I did not experience any stutters while using the PixelBook and it handled everything like a champ. Also, I appreciate that Google decided to add Android app support to Chrome OS. The apps that are optimized for Chrome OS work very well and I did not have any issues. While I won't be covering everything Google has added to Chrome OS, here are some features I found pretty cool. The PixelBook charges insanely fast. QuickCharge is one of my favourite features on Android (yes, I know Apple supports QC as well now) and seeing a laptop implementing it is very nice. I was able to get over an hour of usage after plugging the PixelBook in for only 10-15 minutes. Also, being able to charge from either side of the laptop is one of the best things about the laptop. I wish more laptops implemented that. The Pencil works about as well as the Apple Pencil when used with an app that supports it. The touch input is very precise and everything registers with almost zero lag. However, not many apps are optimized as of now to take advantage of it. One of the best features of the Pencil is the ability to search anything on the screen by holding the button on the Pencil and drawing a circle or a rectangle around it. So far, it has very worked very well for both text and photos. 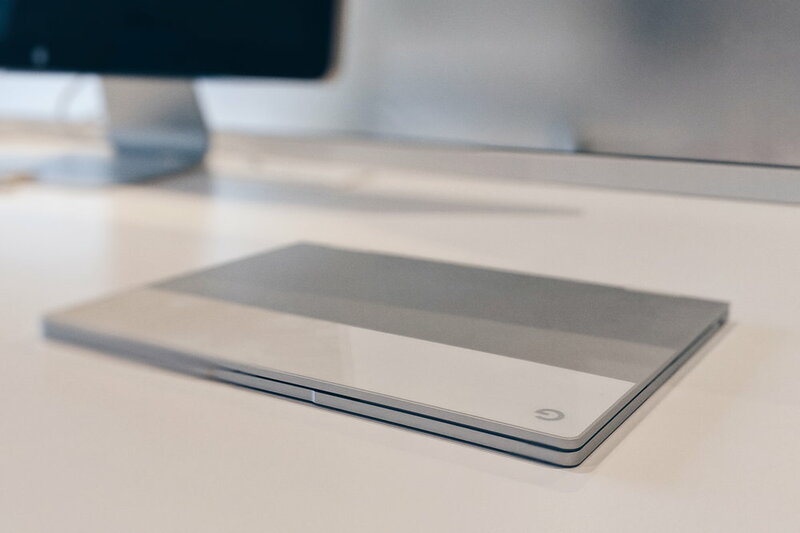 While the screen of the PixelBook is vibrant and responsive, the bezels on the device make it look like an old device while using it. The size does not bother me, but it makes me wonder how nice it would look if the bezels were smaller. I hope Google looks into it and improves it in the next iteration. While Android apps are supported, a lot of apps are not optimized for Chrome OS. Some apps do not use the storage, making them useless (looking at you, uTorrent), and some apps simply crash. Also, not many apps support the pencil, which makes me sad. I hope Google continues to push developers and incentivizes them to support the platform. Google promises 10 hours of battery life, but I usually got around 5-7 hours. That is still very good in my opinion, but I would like it to be close to the advertised range. While I love USB C and I am glad Google decided to include one on each side of the computer, I'd love to see a couple more ports on the laptop. I take a lot of photos and not having a built-in SD card slot adds extra work (remembering to bring an adapter and card reader). HDMI is another port I would love to see on the PixelBook as it is impossible to use it with an external monitor or TV without having to purchase a dongle. The PixelBook is not a perfect laptop by any means, but I definitely think it fills a lot of gaps that other laptops do not at this time. Amazing hardware, native Google Apps support, and the ability to use Android apps on this laptop make the PixelBook a very compelling options for students and people who do not need a computer to run native Windows or Mac applications. I have an iPad Pro, a Windows laptop, and a MacBook, and I preferred using the PixelBook for most things except for when I had to use the Adobe Creative Suite or play a movie on my TV. For almost everything else, the PixelBook has been the device I picked up over the past couple months.